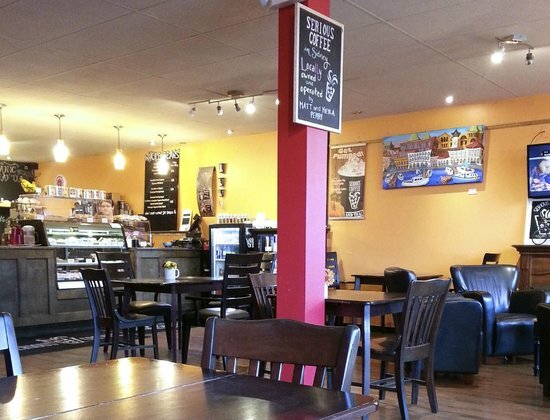 The selection of different coffee & tea is excellent & they have a great variety of other drinks as well. Great food also!! Cranky barista, but otherwise ok. The fellow taking the order was very pleasant. Comfortable space..
We popped in for a coffee to-go and a couple pastries for the next morning. The coffee was very good and the pastries were delightful. 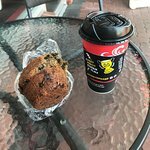 (A Scone and Banana Bread.) Would definitely pop in again when we next visit Sidney. I love everything about this place... except the coffee! 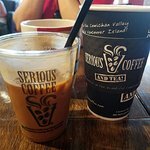 Great coffee drinks - even better sandwiches!! 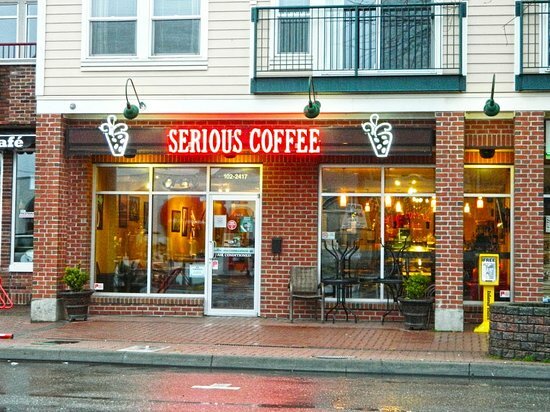 Get quick answers from Serious Coffee Sidney staff and past visitors. I am wondering if the bread is locally made. I don’t think so. I had a muffin it was good but not made locally.